A few notes that you may not have been privy too..
I’d personally have preferred to be part of Castro CBD, and lobbied strongly for that to occur. We weren’t successful convincing Castro CBD to include sections of Noe, 18th St, and Sanchez in the renewal efforts. 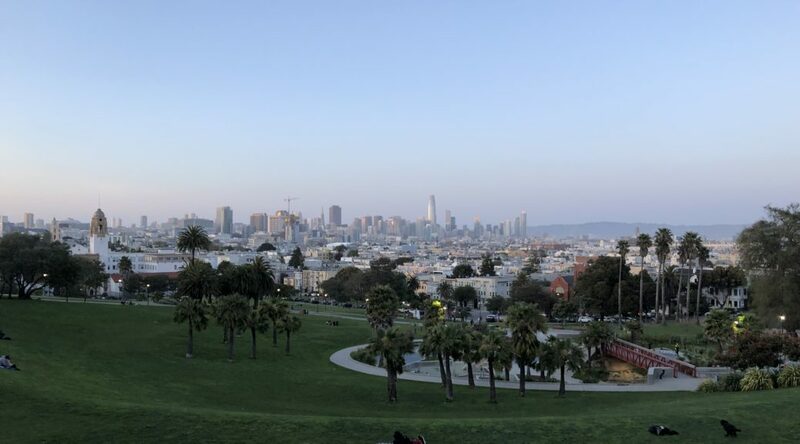 And, as the Dolores GBD was being considered, we were informed by the city attorney that nNO Benefit Districts would proceed if there are ‘gaps’ in districts. 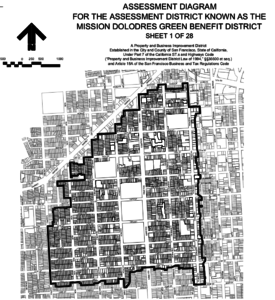 Logically, that means any property NOT currently included in the proposed Castro CBD, must be in the Dolores GBD (or else there would be a donut hole where some would not get benefits from any district). It’s one of the reasons, I’m passionate about sections of Hartford, Pond, Prosper, Hancock and 18th and 19th St being in the Dolores GBD. I’d have preferred to be part of Castro CBD, but, we couldn’t convince the Castro CBD to move on that request. 3) the $$ are not a tax. taxes can be reallocated to many other budget categories. the $$ will go into a 501c3 organization, and that organization will use the dollars directly to the neighborhood. Their will be a Board of directors – much like the EVNA board, elected by the constituents in open elections and with a diverse makeup (residents, non-profits, businesses. 4) The MDNA did come out against the GBD. In my opinion, they board (many of whom have been in the position for many years without any turnover) are afraid of losing power , vs gaining a strong ally., and relied on a previous decision from many years ago. A look at their past agenda items show they are focused on land use, historic preservation and NOT Quality of Life issues. Their president said the GBD formation group has not been transparent, yet their website has not posted board minutes since Sept 2018. We did invite them to be represented on the GBD formation group, and to every community meeting. They come to the community meetings and also include opponents from Buena Vista and other Districts who know little about our area. I may not have addresses all your concerns – but am happy to speak with anyone regarding the benefits we expect, the governing model, or any portion of the Management Plan. If I can’t address the concern, one of our other volunteers from the past year and a half, can usually assist. I think the Castro/Upper Market Community Benefit District has done great things for our neighborhood commercial district. But this proposed GBD district is made up of primarily residential parcels, not commercial. Lots of differences. What is most disturbing is the broad-brush inclusion of every residential parcel west of Dolores Park all the way to Castro Street. Why are our members who are steps away from the Castro Neighborhood Commercial District be expected to pay into fund that keeps the sidewalks of the Valencia Corridor clean? It’s nonsensical. What I do know is that not one property owner on my street block with whom I have been a opportunity to discuss this was even aware of this proposed GBD until now, some still have open minds at this early stage of notification, but most are appalled we were included and adamantly opposed to being included in the proposed district. The Formation Committee needs to go back to the drawing board, and do a better job drawing their assessment map to include those who really want to be inside, and leave the rest of us who do not identify with the proposed district to our own neighborhoods.